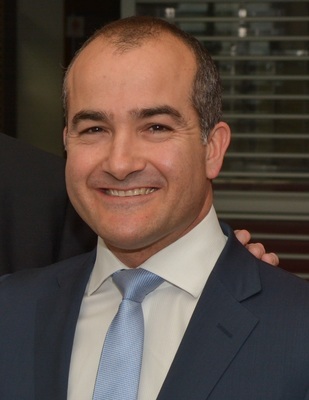 UP TO SPEED: Victorian Education Minister James Merlino. Internet speeds will become as fast in local secondary schools as their Melbourne counterparts under a $16.4 million “regional connectivity” program, according to the state Education Minister. “Online learning resources are vital to ensuring every Victorian student gets a first-rate education,” James Merlino said. “That’s why we’ve doubled the internet bandwidth for nine schools across Geelong, the Surf Coast and the Bellarine Peninsula region. Mr Merlino highlighted the government’s classroom connectivity program, unveiled in 2017, after last Friday’s Geelong Indy revealed concerns about slow internet in local schools. The slow speeds prevented students and teachers accessing “the resources they need”, such as educational websites, E-books and online classes, said lobby group G21 Geelong Region Alliance. The speeds were so bad that in some schools only one class at a time could access “barely adequate” internet connections, G21 said. The issue was forcing parents to buy data-loaded phones so students could Bluetooth-link their laptops to 4G mobile for “useable” internet in classrooms, G21 said. The slow speeds had also created a “divide” between local secondary students as private schools signed up for faster speeds through not-for-profit provider AARNet. A local advisory committee to State Government had recommended AARNet for local public schools but the education department preferred to go with an “inadequate” NBN solution, G21 said. “NBN download speeds range from 12mb to 100mb per second while AARNET download speeds range from 1Gb to 100Gb per second.